As a Therapist at Creative Family Counseling, Rebecca specializes in helping families with children and teens find creative solutions to their problems. 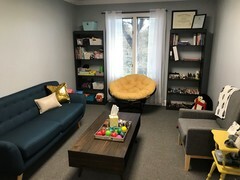 (PRLEAP.COM) Louisville, KY. April 11, 2019 - Licensed Marriage and Family Therapist Rebecca Street offers what she describes as a client-focused approach to therapy in the Louisville, Kentucky area. As a Therapist at Creative Family Counseling, Rebecca specializes in helping families with children and teens find creative solutions to their problems. Having obtained a Master's Degree in Marriage and Family Therapy from the Louisville Seminary, Rebecca utilizes an assortment of play, narrative, and expressive therapy techniques to help clients work through issues that may be difficult for them to express verbally. Rebecca's mission when working with clients is to help them find solutions to problems by using a customized treatment plan that meets their goals and allows them to get back to their life. Whether a child or teen client is coping with a challenging transition or a difficult phase of life, Rebecca believes in utilizing therapeutic tools such as play, art interventions, and activity therapy to provide the appropriate support and intervention for them. By joining a child's world with creativity, these tools can treat a variety of issues, such as low self-esteem, anxiety, grief, PTSD, depression, and ADHD. In Rebecca's office, many kinds of creative therapy options are available to meet young clients at a developmentally appropriate level. Her hands on, integrative style is all about allowing space for people to change their story for the better. A processing tool like a sand tray, for example, encourages clients to use miniature toys and various types of sand as a means to solve problems, learn new skills, manage emotions, create change, and find insight and clarity in therapy. 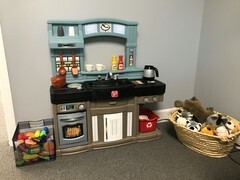 Her "fun" office at Creative Family Counseling may not look like a counseling office at first glance, as it's filled with endless amounts of crayons, markers, paint and craft supplies, as well as puppets, pretend toys, miniatures, fidget toys, and of course her huge, stuffed penguin. Rebecca's affirming and collaborative therapeutic approach is rooted in her love for creative writing, visual arts, music and storytelling. "I love using creative tools to help kids of all ages learn how to express themselves and process experiences and emotions that trouble them," says Rebecca. 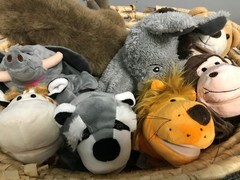 At Creative Family Counseling, many forms of play and expressive therapies are used to create safe spaces where children, teens and families can grow, develop and heal. Creative Family Counseling specializes in facilitating change through a combination of therapeutic approaches available to children, teenagers, adults, couples and families. With a convenient and spacious new office location and new website launch, the practice's experienced team of Marriage and Family Therapists is currently accepting new clients. To schedule an appointment with Rebecca, or any of the therapists that work at Creative Family Counseling in Louisville, Kentucky, please call 502-709-0410. Originally a native of South Carolina, Rebecca Street moved to Kentucky to pursue a Bachelor of Arts Degree in Linguistics and Anthropology from the University of Kentucky. After continuing her education at the Louisville Seminary, Rebecca earned a Master's Degree in Marriage and Family Therapy. 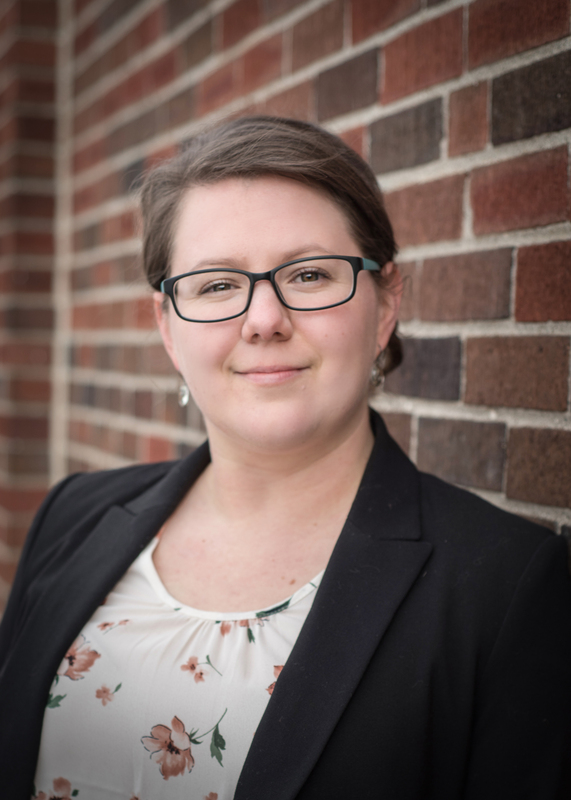 As a Licensed Marriage and Family Therapist at Creative Family Counseling, Rebecca specializes in treating families with kids of all ages through a collaborative effort, utilizing her background in the arts to help her clients express themselves effectively. Creative Family Counseling is located on 8134 New LaGrange Road, Suite 227, in Louisville, Kentucky. 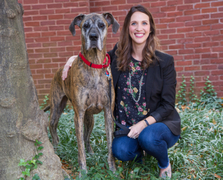 Owned and operated by Clinical Director Lacey Ryan, LMFT, the practitioners at Creative Family Counseling strive to equip Louisville-area families, couples, individuals, children and teens with the knowledge and tools needed to effectively solve problems. While the therapists at Creative Family Counseling do not contract with insurance companies, and are considered out of network, they are able to work directly with patients in regards to the frequency of visits and types of counseling needed without being limited by insurance policy guidelines. They also accept all HSA/FSA/HRA cards for payment of counseling services without billing through insurance directly. To learn more about Creative Family Counseling, visit their website or call their office at 502-709-0410.